Water security is one our greatest challenges. Trees and forests are imperative for water flows. Integrated land-water management, including the strategic management of forests and landscapes with water considerations, will be crucial for resilient water supply. Approximately 75% of available freshwater sources come from forested watersheds (MEA, 2005). Despite the importance of forests as natural infrastructure, water is not a management consideration for 75% of forests worldwide (FAO, 2015). 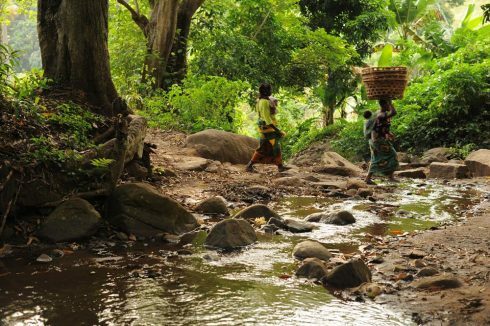 Forests and their water-related ecosystem services can provide cost-effective, natural solutions to address growing water scarcity. It is estimated that forests as green infrastructure for water can cost less than USD 2 per person per year, which is offset by savings from reduced water treatment (World Bank, 2012; Abell et al., 2017). Moderated by Lotta Samuelson (SIWI) Discussion featuring representatives of practice and policy from both the forest and water sectors, discussing the needs and challenges of progressing the forest-water topic. Includes audience participation.